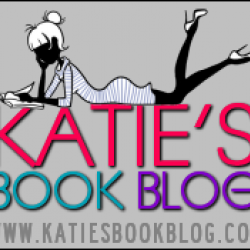 A Wounded Name - Katie's Book Blog!! Well I could not have picked a better book for my first readers' choice review. If my recommendations keep being this awesome, I may just have to read nothing but recommendations from you guys!A Wounded Name is a retelling of Hamlet. I'm a huge Shakespeare buff so maybe that's why I loved this one so much but I know for a fact that that is only part of the reason. The story was part of the draw for me but that's not what really hooked me. The writing and the characters are what really got to me with this one. To be completely honest, there wasn't a single thing about A Wounded Name that I didn't like.First off, I have to mention the writing. It's absolutely gorgeous writing. Some of the best I have ever read, for sure. If nothing else about this book appeals to you, read it for the writing alone. It's worth it. Dot Hutchison is one of those writers who could write a phone book and I would read it. 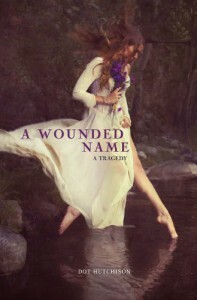 The second best thing about A Wounded Name would have to be Ophelia and the rest of the characters. A Wounded Name is told from Ophelia's perspective and you really see the story in a whole different light. Ophelia is a little bit crazy (literally) but I couldn't help but love her. She's been through so much in life that I just wanted something good to happen to her. She's one of those characters who truly deserves a happy ending. Same goes with Dane (Hamlet). He's a very messed up young man but you can tell that he really is a good person. He does so much to hurt the people he loves but he doesn't really mean any of it. He's lost and confused and mourning his dad. I felt so bad for both him and Ophelia. Really, the only character I didn't feel bad for was Claudius. Dot Hutchison made him into the perfect villain. He wasn't too evil but there wasn't anything good about him, that's for sure. Also, I can't not mention Horatio. I loved him. Ophelia hit the nail on the head when she said that he was the best of them all. The story is nothing new but like I said, you get to see a different side of it now. Like the synopsis says, you know how this story ends (if you've read Hamlet) but that does not take away from A Wounded Name at all. I didn't read this one because I expected mystery and suspense. I read this because I expected a true to the original retelling and that's exactly what I got. Overall, you must read A Wounded Name! I can't recommend it enough. I can't wait to see what Dot Hutchison does next!